With the generous support of our Community Champion - The Man in the Moon - Camelsdale Primary School launches… Clevertouch for Camelsdale! Camelsdale’s mission is to raise £3,000 to replace 1 OF 5 fast-failing whiteboards with a new, state-of-the-art Clevertouch Sahara Plus board. The new whiteboard will immediately transform the teaching for one class teacher and support staff, and – fundamentally – improve the learning of 30+ pupils. Increased participation, enhanced collaboration and better-paced presentation of curriculum content are all key benefits of this must-have teaching tool. Camelsdale’s aim is to provide “A Flying Start to a Learning Life”. Your support for our project will ensure the school continues to meet this aim by inspiring our pupils – tomorrow’s workforce – to be as passionate about learning as they can be. Please pledge whatever you can to help us achieve our goal! NB. This is an all-or-nothing campaign. To receive any donations, we have to reach our minimum target! Of course, if we exceed our £3000 target, any additional funds will go directly into the 'Clevertouch for Camelsdale’ pot. Ultimately, we need to replace 5 whiteboards! Of course, if you wish to pledge anonymously, please do so in the knowledge that the school is enormously grateful for your support. It's not only money we need to help us succeed! 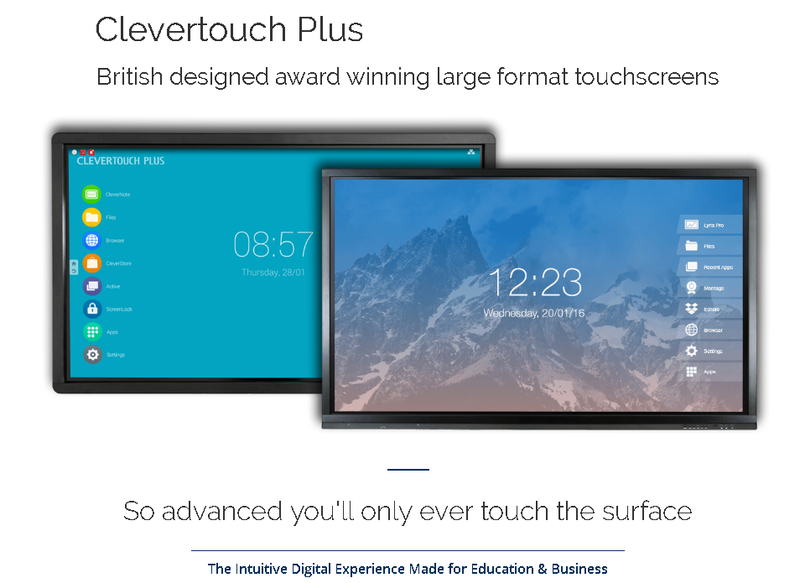 We need as many people as possible to be talking about 'Clevertouch for Camelsdale' . Please share this project with anyone who you think might support us – on Facebook, Twitter, Linkedin, by email, on your blog, by telephone, in a chat over the fence, you name it! Together, let's stir up excitement and get the entire community behind our worthwhile campaign. The more people who know about it, the higher our chances of success! Throughout our fundraising campaign, we'll be giving regular updates on the progress we are making via our school website, Twitter and Facebook. Follow us to find out how we are doing! At Camelsdale Primary School, we believe that, as a community, we share the responsibility of raising our children to be happy, successful learners, confident individuals and responsible citizens who are fully prepared to meet the challenges of an ever-changing world. Our school encourages all our children to look beyond their horizons and become self–motivated, independent, resilient, resourceful and reflective learners. Camelsdale may well be the oldest school in the county, but we always strive to be at the forefront of teaching and learning pedagogy. Sadly, our positive ethos is currently being threatened by a real and worsening funding gap. West Sussex is the 4th most poorly funded Local Authority and this year received £44 million less than the national average borough. Although the Government is working on a national fairer funding formula, this will not be effective for several years. With a further 8% cut in budget expected in April, and an 11% rise in costs, the immediate financial future is a serious cause for concern. West Sussex school leaders are being forced to take radical action, including reducing basic services and investment in resources, all to the disadvantage of our children. At present, Camelsdale School is also in the midst of a dining hall/kitchen build to meet the Government’s hot meal policy and has to fund all dining hall equipment. This financial obligation, in addition to lack of funding, means that there is no money to spare. 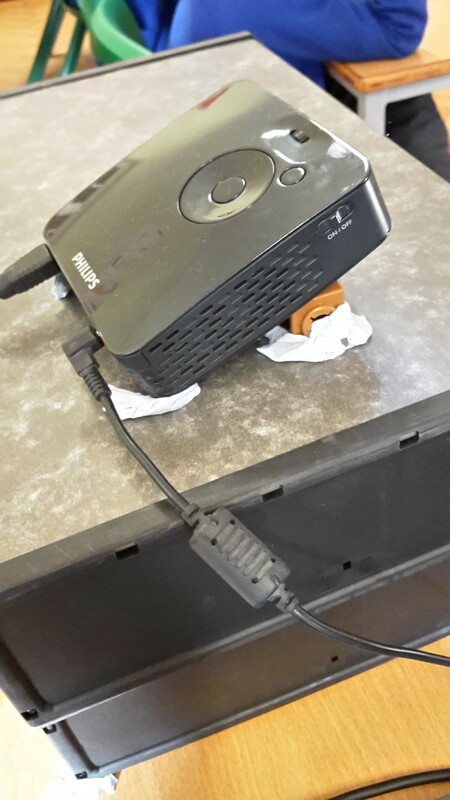 We urgently need to replace 5 existing, fast-failing interactive whiteboards – equipment that the school simply cannot afford to replace. The whiteboards are a vital teaching and learning tool, essential to support the National Curriculum. Overall dim appearance – pupils struggle to see the information, especially dyslexic pupils. From the teachers’ perspective, the unreliable equipment disrupts the focus and flow of lessons. The technology should increase student engagement and improve learning, not hinder progress. In November 2016, Year 3's whiteboard failed altogether and was deemed irreparable. 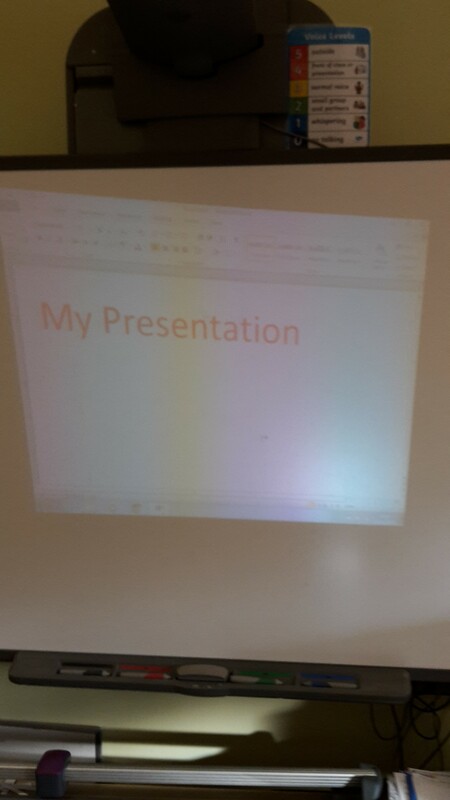 For the remainder of the term, Mrs Brownbill had to make do with a mini projector (kindly loaned to her by a parent) propped up on box files and blu-tack – far from an ideal solution! However, following a highly successful Christmas Fayre and recognising the sheer urgency of the situation, the PTA was able to purchase a replacement for the start of the New Year. So, how has the Clevertouch board transformed teaching and learning in Otters Class? It is important to emphasise that this is a second phase in a considerable fundraising effort by the Camelsdale Primary School PTA to provide essential IT equipment for the pupils. The main focus over the last 4 years has been towards providing essential IT equipment in classrooms in the form of desktop computers, laptops and learning pads for the children to use from EYFS to Key Stage 2. A huge effort has been made by the whole school community and we have successfully managed to replace failing equipment and introduce new, vital learning tools. However, the large cost of approximately £15,000 for the interactive whiteboards is a sum too large for the PTA to raise in the short time frame. Furthermore, the PTA is desperately trying to raise funds for dining hall equipment – another key priority. The need for the whiteboards is immediate and urgent in order to stop unnecessary disruption to lessons. Removal of old equipment, including wall mounts and brackets. JSPC will install the equipment within 7-10 days of receipt of order. Once all whiteboards are replaced, they will transform the teaching for 30 members of staff and improve the learning of 220 pupils (aged 4-11), 44 of which have special education needs and are on the SEND register. Camelsdale School is a strategic partner in a Teaching School Alliance (TESLA) involving 600+ teachers. 20-30 School Direct students a year will also benefit from the up-to-date, must-have technology. Moreover, Camelsdale is a partnership school with the University of Chichester; it regularly supports its ITT (Initial Teacher Training) students. Recruitment fairs for ITT are hosted by Camelsdale and frequent training sessions delivered by the staff. 200 teachers from the 15 schools in the locality attend training at our school in its role as a lead primary school, including our Inclusion Hub network (supporting families in meeting their health, education and social care needs). The whiteboards are instrumental in delivering high-quality training. Parents from 140 families will further benefit from the new whiteboards at the school’s many interactive parent workshops run throughout the year e.g. 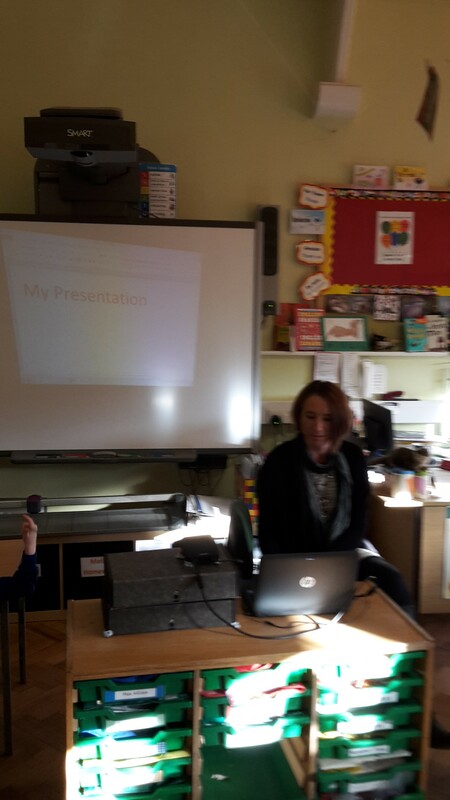 ‘E-Safety’ and ‘Keeping up with the Infants/Juniors Maths & English Support’. The following community groups, with access to the school’s IT equipment, will also significantly gain: Camelsdale Preschool; Parish Council; The Man in the Moon Drama Day Camps (in residence during every school holiday). Based on a realistic expectation of 6-10 years, the whiteboards will improve learning for up to a further 300 pupils, in addition to the current 220 pupils, for their primary school life. The warranty and on site support costs will be met by the project costs for the first five years. Furthermore, the school’s IT Technician Provider will oversee regular maintenance of the equipment (funded by the school as part of its on-site technician agreement). As previously stated, our PTA is raising funds for essential equipment for our kitchen/dining room. However, once our fundraising objective for this project has been reached (estimated 1 year), we will be in a stronger position to ensure that maintenance costs can be met and funds secured ahead of the end of the warranty period. This is also factored into the school’s IT strategy, reviewed every three years. Thank you for reading our story and supporting Camelsdale Primary School. Together, we can make a difference. A social high-five! Thank you via Twitter, Facebook and email so your friends/customers can see how generous you are! A Certificate of Appreciation signed by Mrs Palmer and a social high-five! A handwritten letter from a Camelsdale pupil and a social high-five! Ring the school bell! At the stroke of 9 o’clock, our bell is chimed 10 times to herald the start of another happy day at Camelsdale! Plus, receive a social high-five! In addition to a social high-five, you will receive a special mention in our Sports Day programme AND on our display boards throughout the school. Plus, for business supporters, a book bag flyer drop (to 140 families) to promote your business! Guest(s) of honour at our Summer Concert OR free school hall hire for a children’s party. Plus, all of the rewards on offer for the £100 reward! Top table at the grand opening of our new kitchen/dining hall! (Autumn Term 2017 – subject to completion). Plus, free sponsorship of a stall at our annual Summer Fayre 2017 (typically attended by 500+ people in the community). The Clevertouch board will be named after you! You will be invited into School for the grand unveiling, including a photograph taken with Mrs Palmer and pupils in the class to be featured in the local press. Following this, you will enjoy a very special ‘Stars to Tea’ with Mrs Palmer and chosen pupils.